While some analysts and economists are saying that the U.S. housing market is getting better, Michael Lombardi, lead contributor to Profit Confidential, says it hasn’t hit bottom yet. 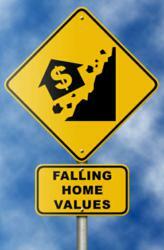 Home prices have now reached levels that were last seen in late 2002. Lombardi says that when he looks at the U.S. S&P/Case-Shiller Home Price Index, he can see it has dropped four percent in the fourth quarter of 2011, compared to the fourth quarter of 2010. “This basically tells us that house prices fell another four percent last year,” says Lombardi. Lombardi also highlights weak durable goods orders as continued evidence that the economic recovery and consumer confidence are nowhere to be found in 2012. “Durable goods orders instead point to a slowing economy and weak consumer confidence,” says Lombardi. Add to this the fact that gas prices have continued to rise, and Lombardi feels that this doesn’t bode well for consumer confidence or economic recovery going forward. Profit Confidential, which has been published for over a decade now, has been widely recognized as predicting five major economic events over the past 10 years. In 2002, Profit Confidential started advising its readers to buy gold-related investments when gold traded under $300 an ounce. In 2006, it “begged” its readers to get out of the housing market before it plunged.